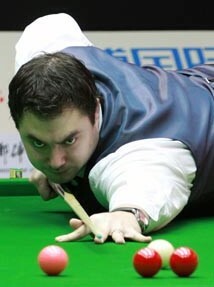 Kurt Maflin from Norway defeated Mark Joyce in decider although he once led Joyce by 4-1. The Norway man had a strong start for the match, leading Joyce by 4-1 with two breaks of 91 but Joyce pulled back frames again and again to level 4-4 including Joyce's 61 outplaying Maflin's 61 in the sixth frame. The quarter-finalist of UK Championship in 2010 held his nerve to take the following two frames but Maflin held his stance to win the match by 73 in the decider. He will face Gerard Greene in the next round. 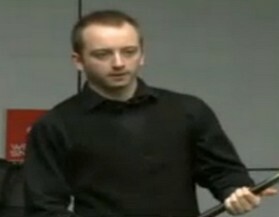 Tony Drago was the 5-3 winner against David Morris from 1-3 down to play Matthew Selt next. Thai Dechawat Poomjaeng came back from 2-4 down to beat China's Liu Song with 80, 70 and 63 in the last three frames while another Chinese player survived in his match against Andy Hicks with breaks of 74, 70, 68, 61 and 50.